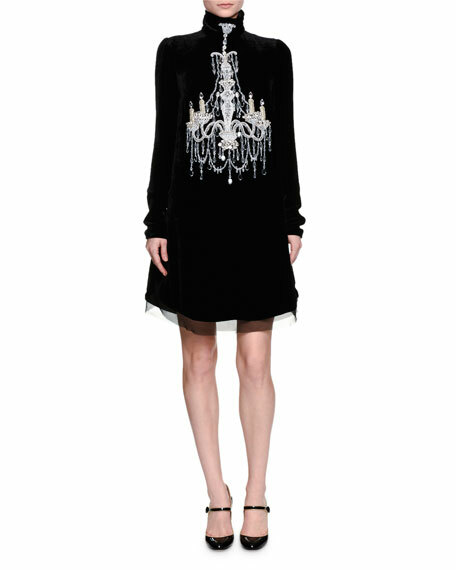 Dolce & Gabbana woven dress with embellished chandelier at front center. Rounded hem with sheer trim. Embellished buttons down center back; hidden zip underneath. For in-store inquiries, use sku #1795474. 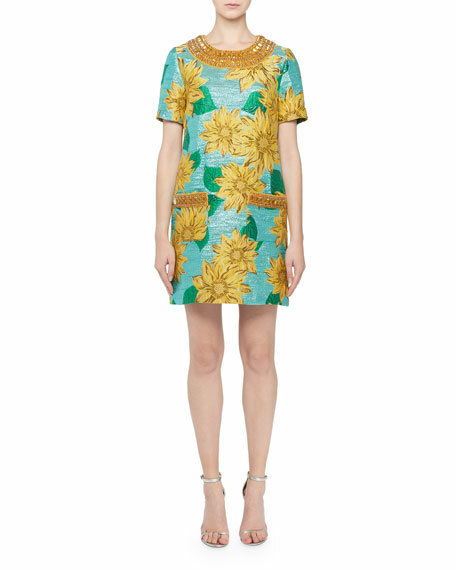 Andrew Gn dress in sunflower jacquard with embroidered trim. Crew neckline. Short sleeves. Hip patch pockets. Shift silhouette. Knee length. Back zip. Polyester/Lurex metallic/silk. Lining, viscose/polyester/spandex. Made in Italy. 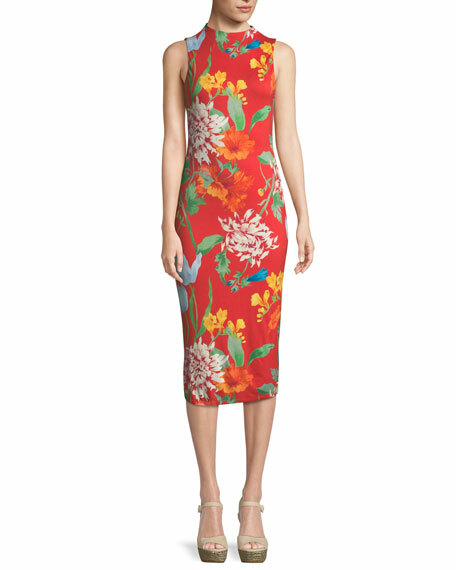 Double J "Visconti" dress in floral print, ultra fine Crepe de Chine. Frilled, mock neckline. ; ruching at the dcollet. Long sleeves; frilled bell cuffs. Fitted bodice. A-line silhouette. Knee length. Single ruched-tier skirt. Back zip. Silk. Made in Italy.